Color Curate is a color-focused beauty subscription that sends out four full sized makeup products each month. 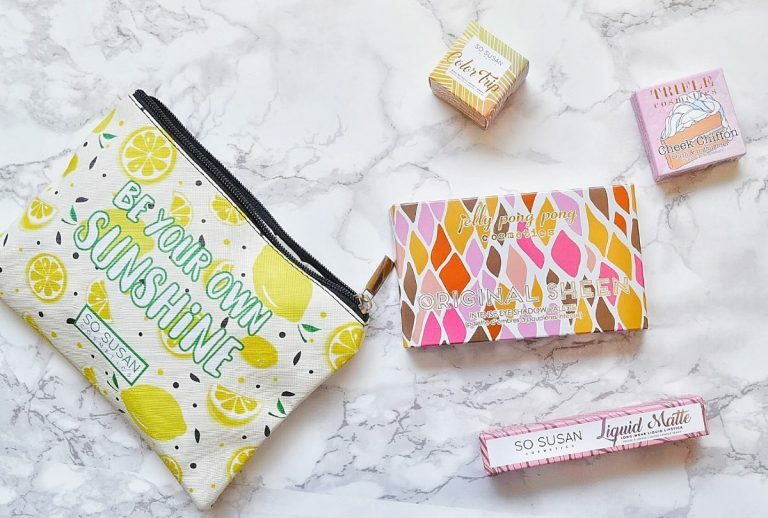 They come packaged in cute, limited edition makeup bags! 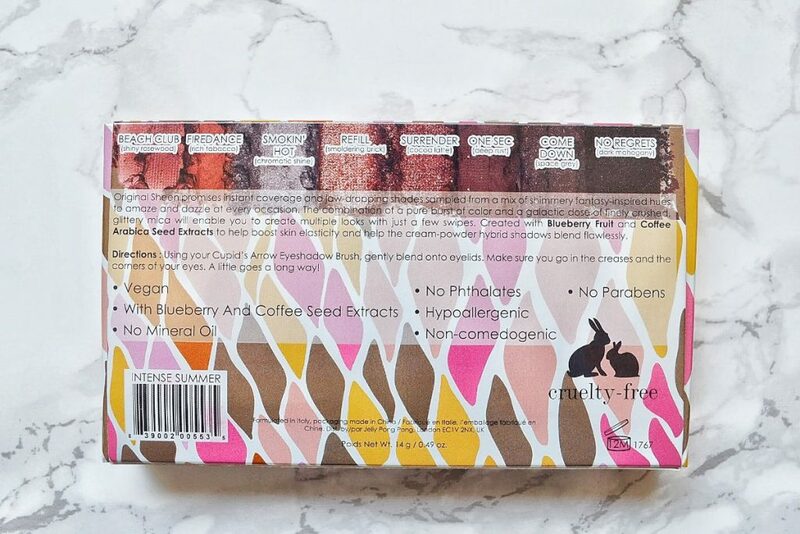 All of their makeup is vegan and cruelty free, and filled with healing ingredients and botanical extracts. A one month subscription costs $20.95, or you can save up to $3.00 a month by pre-purchasing a longer subscription. Each makeup bag is valued much higher than the cost of a subscription, so you will be sure to get your money’s worth. 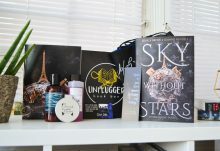 Today, I am reviewing Color Curate’s July bag! 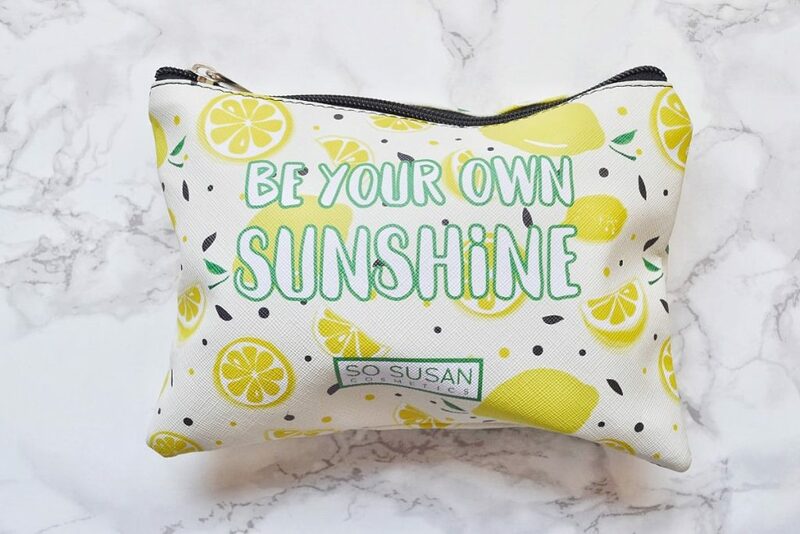 It arrived in an adorable, lemon-covered makeup bag with the words “Be Your Own Sunshine” printed on the front. 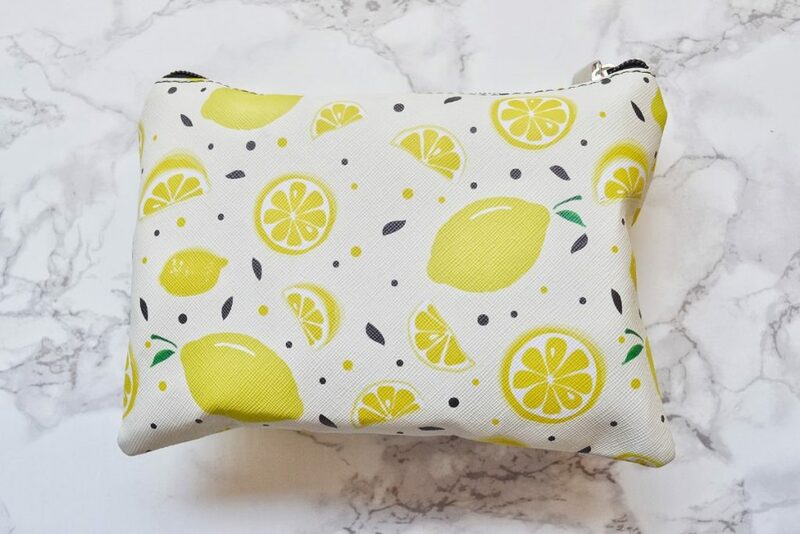 Lemon print is one of my favorite summer fashion trends, so of course I love the bag. 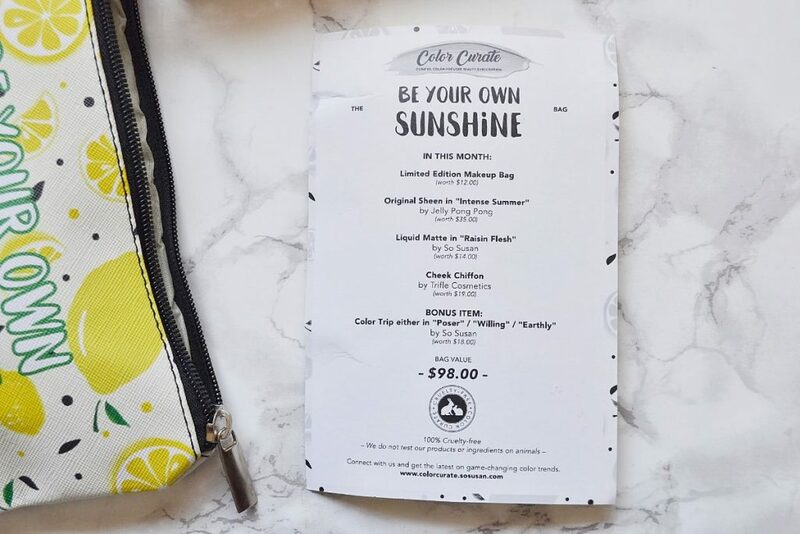 Color Curate included a card that listed every item inside this month’s bag. The front had the same cute lemon design, and the back had the items’ names and prices. 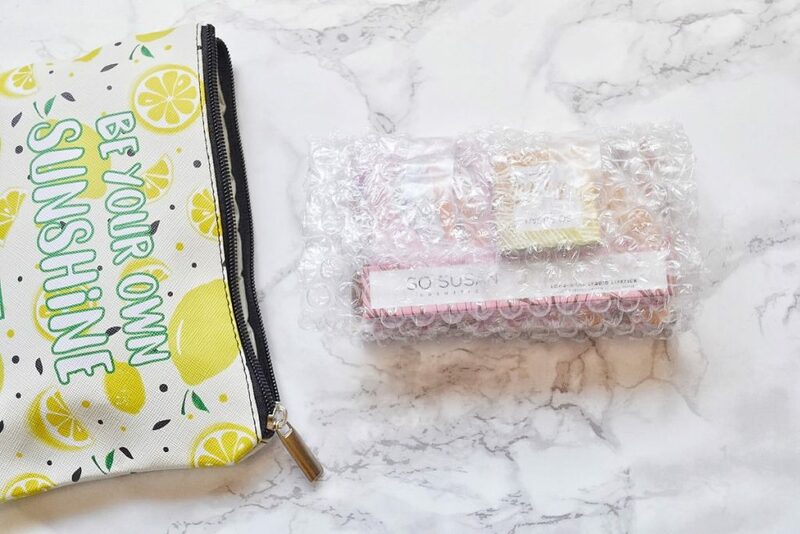 July’s makeup items came securely packaged in bubble wrap. Everything arrived in perfect condition. Here’s a quick look at the four items I received in my bag. 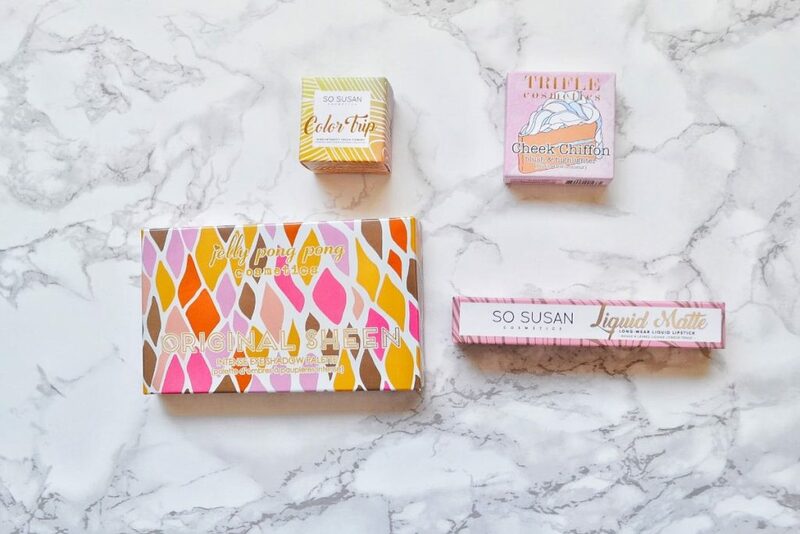 I must say, the packaging of all the makeup is super cute! I normally throw out product boxes, but I’ll be holding on to these. Okay, let’s look at each individual product! 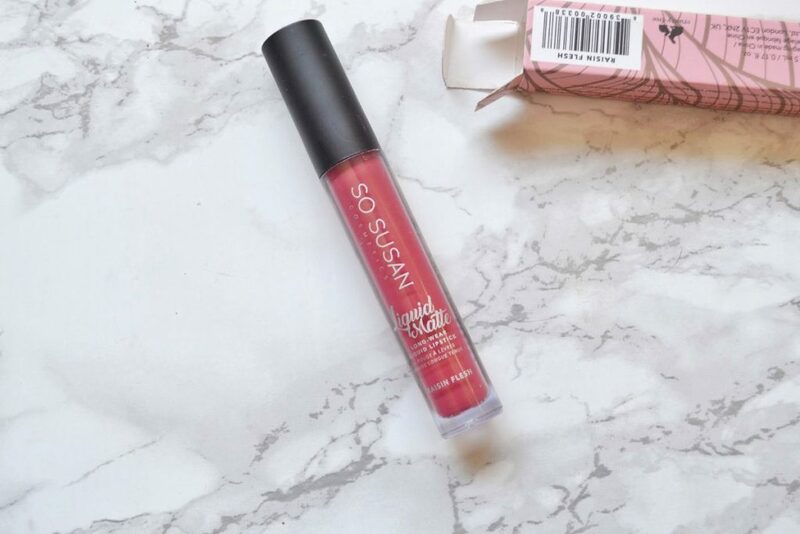 The So Susan Liquid Matte Liquid Lipsticks are highly pigmented and ultra matte, but they manage to not be drying. 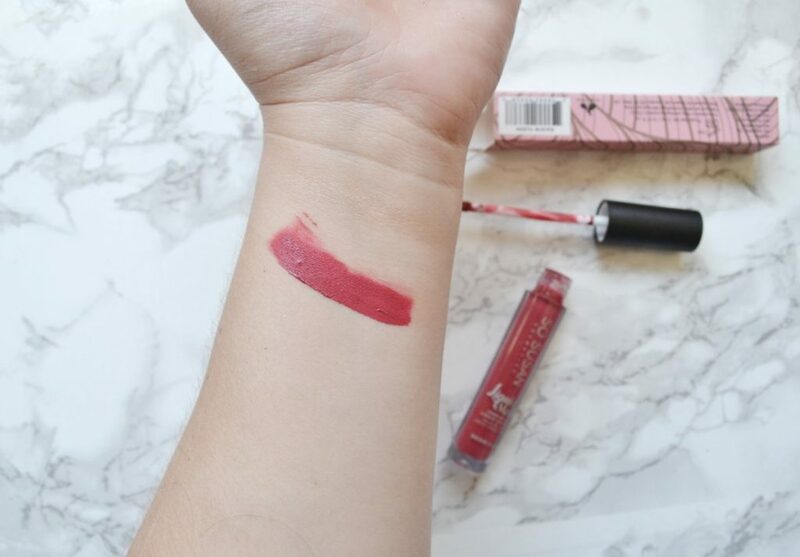 These lipsticks contain olive oil, cocoa butter, and chamomile extract, so they help keep your lips hydrated. Raisin Flesh is a gorgeous medium berry hue. Here’s a look at how it swatched. Within thirty seconds it had dried down completely, and doesn’t budge no matter how much I rub at it! In fact, the swatch is still intact hours later. And here is how Raisin Flesh looks on my lips. I normally wear lighter lipsticks, but I think this is really complimentary with my skintone. 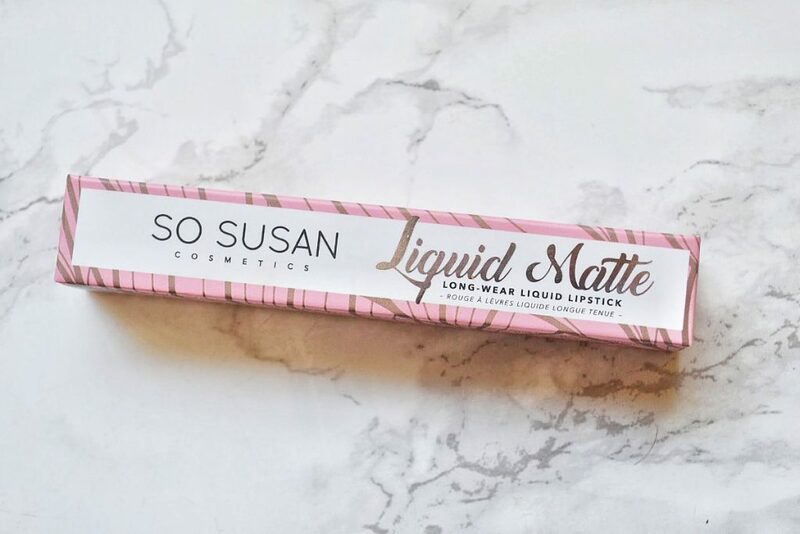 The So Susan Liquid Matte Lipstick has a thick and creamy formula, and has a unique floral smell. 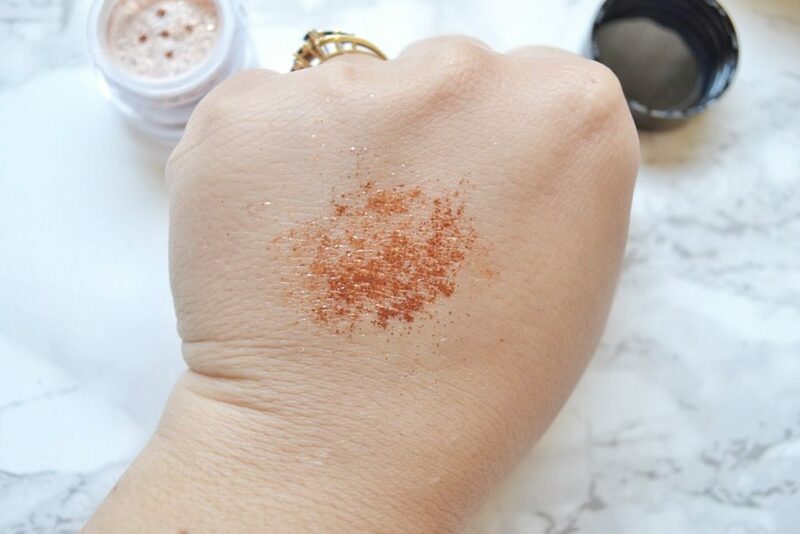 I really love its strong pigmentation and lasting power! It does feel a little sticky on my lips, but I prefer that over it feeling drying. I think this is a lovely product, and I’m happy it was in this month’s bag. When I first opened my Color Curate bag, I was hit with the smell of chocolate. 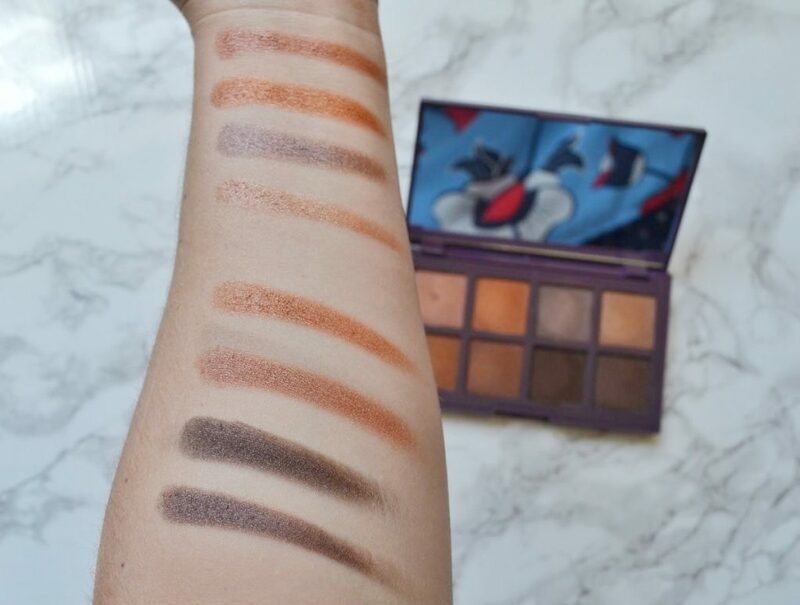 It turns out, it was coming from this chocolate scented eyeshadow palette! The shadows are created with blueberry and arabic coffee extracts to help boost your skin’s elasticity and increase their blendability. 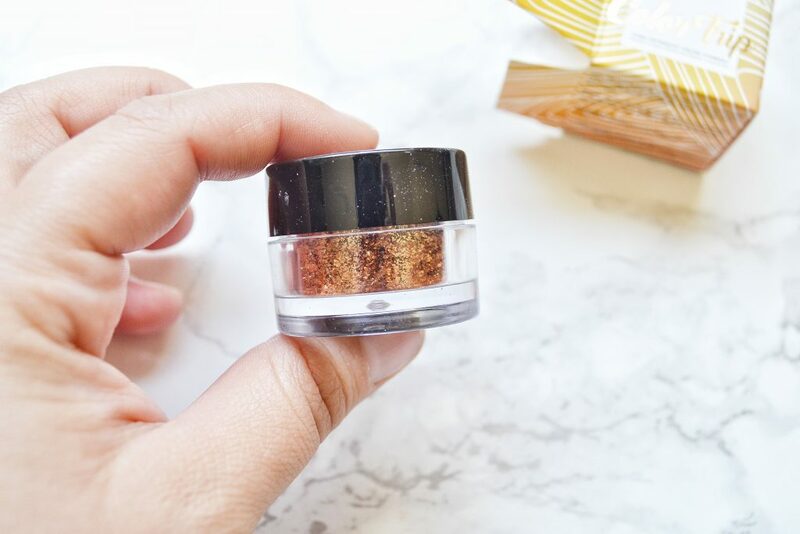 They are a shadow-cream hybrid that are shimmery, NOT glittery. I love that the packaging actually shows the shade colors on the box! 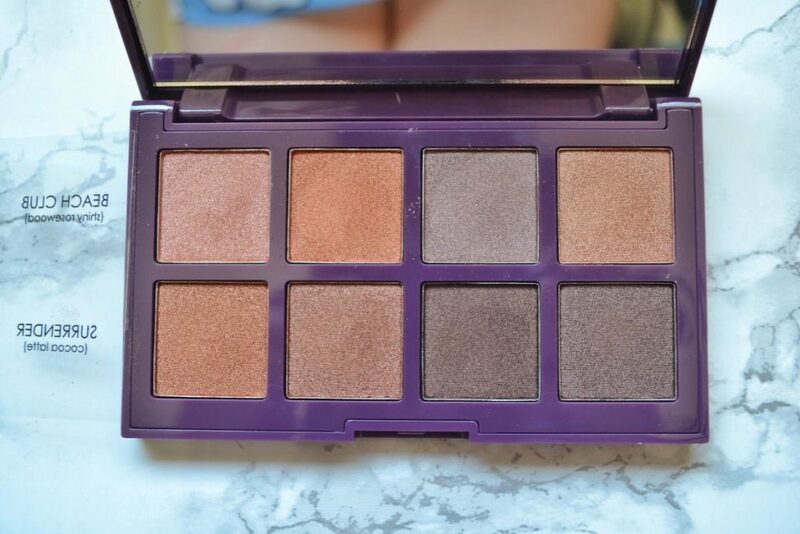 This is something I don’t see often with eye shadow palettes. It comes with a large mirror (yay! ), and eight shadow shades. The palette also has a clear plastic insert with the shade names printed on. 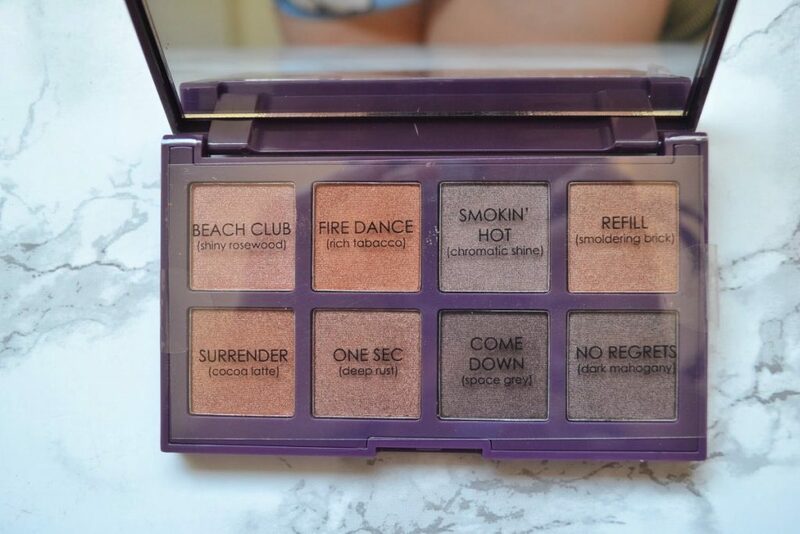 I actually prefer the names to be directly on the palette, because I always end up losing these inserts. And they swatched beautifully! Each shadow is very creamy and shimmery, and ultra pigmented. I did notice that it will be hard to create a complete look with this palette, because all of the shadows are shimmery and dark. 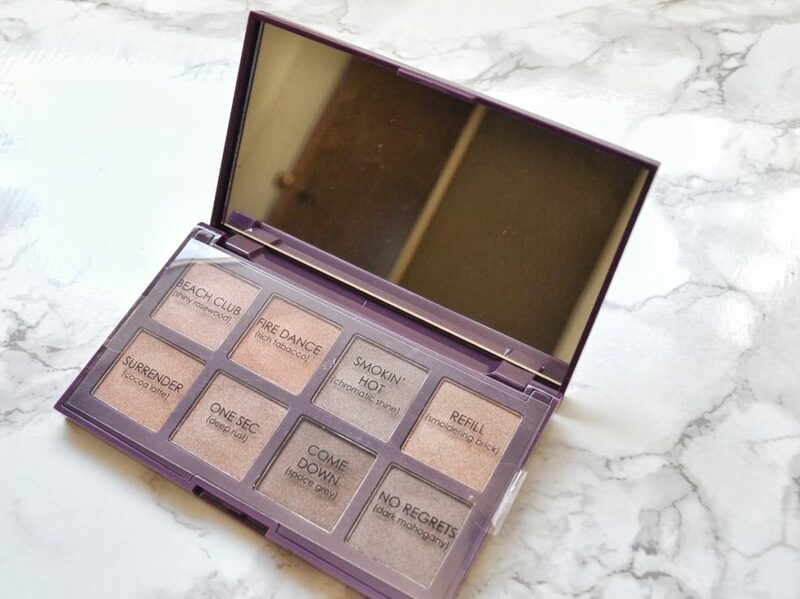 This is an awesome palette, but you will need to supplement it with a couple lighter matte shadows when doing your makeup. In the photo below, I used two lighter matte shadows for a base and transition shade. I used Beach Club all over my lid, One Sec in the middle of the lid, and Come Down in the outer corner and beneath the lash line. I also put Refill in my inner corner, but I think the shade is a little too dark for that. 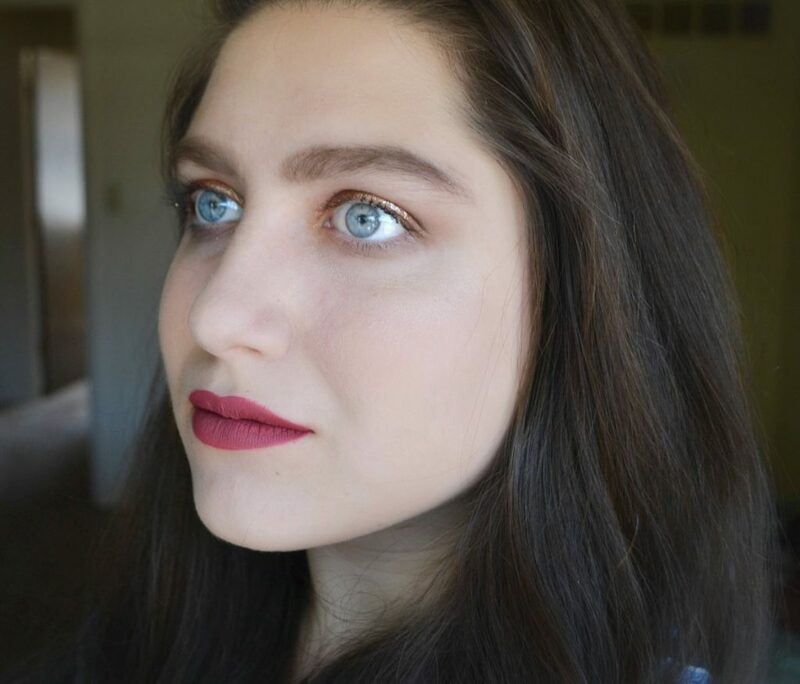 The neutral shades complement my blue eyes, and my fiance (who almost never notices my makeup) gave me a compliment on it! This is a high-intensity color pigment that uses concentrated, pulverized pigments and high grade mica. It is long lasting, and dazzling when the light hits it! I noticed that the jar is filled with larger and fine chunks of pigment, which give it a mosaic effect. And here is how it looks when the light hits it! It is so stunning, and looks like molten gold. I don’t use loose pigments often, mainly because I am terrible at applying them. However, this is so gorgeous; I will definitely try to get a lot of use out of it this summer. 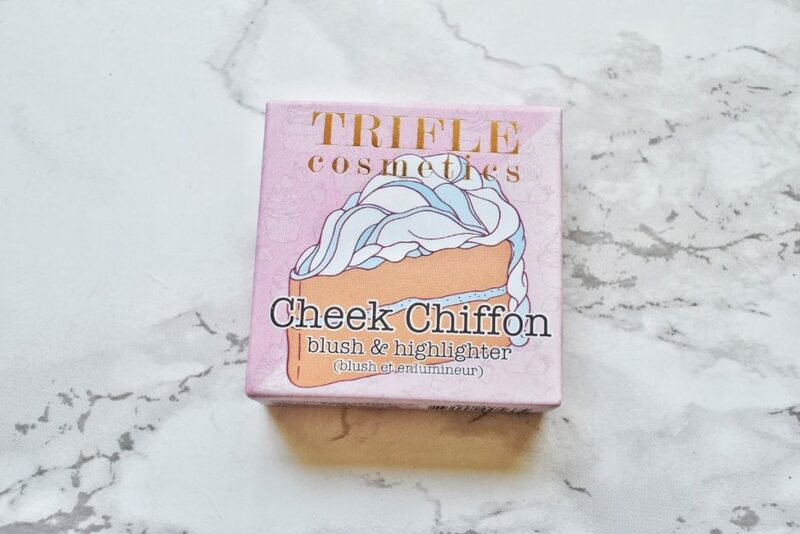 Cheek Chiffon is a highlighter/blush duo that comes in the cutest box! 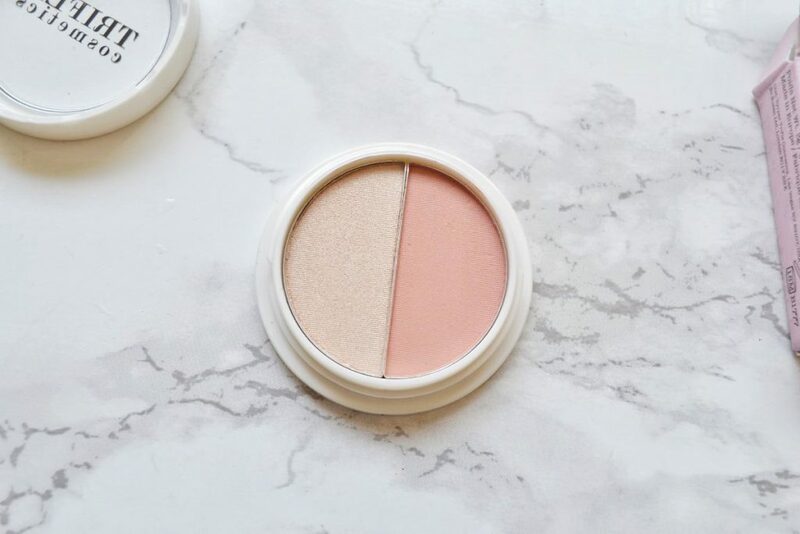 The powders are soft and feel creamy to the touch, and the blush helps you look especially fresh faced. I was kind of surprised by how light and subtle the highlighter and the blush are. Color Curate focuses on colorful makeup products, so I thought these would be a little more intense. Don’t get me wrong though, they are still pretty! I especially love the blush; it’s a pretty peachy shade. Here is how they swatched. As you can see, they are very subtle. 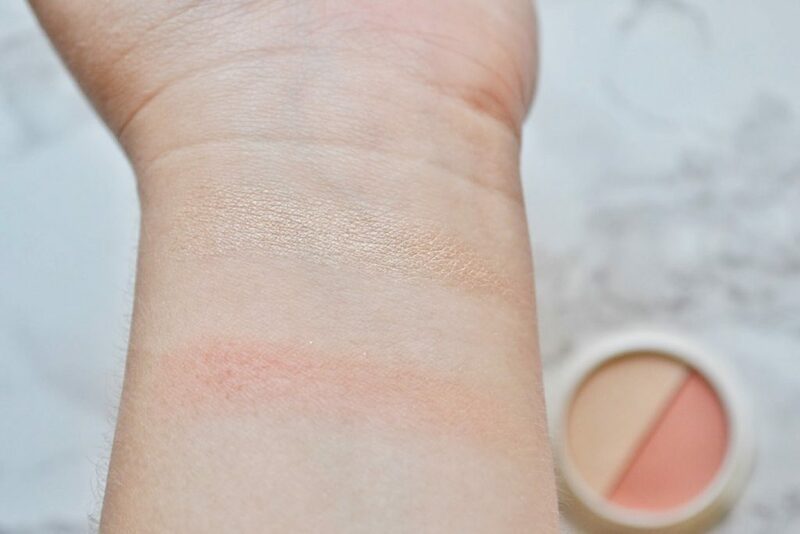 I really enjoyed the blush in the duo, but I don’t think I will be using the highlighter portion often. 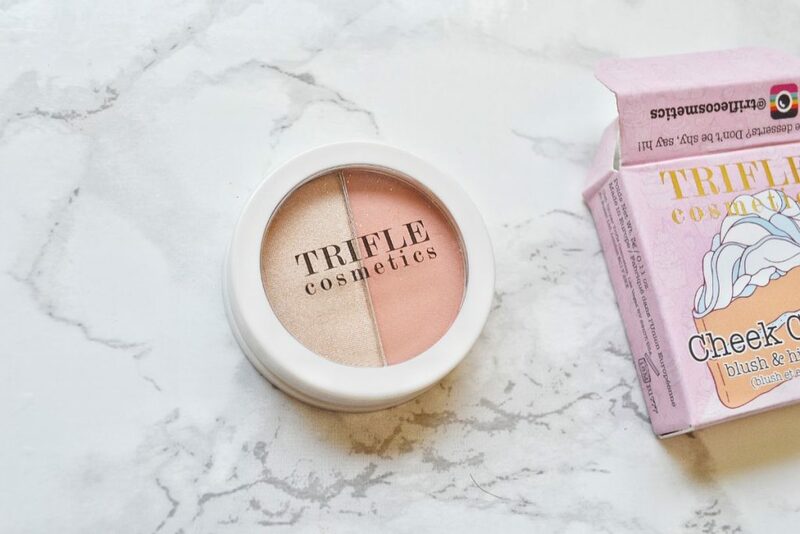 It works well as a brightener, but it doesn’t really bring a dewy glow – which is what I look for in a highlighter. 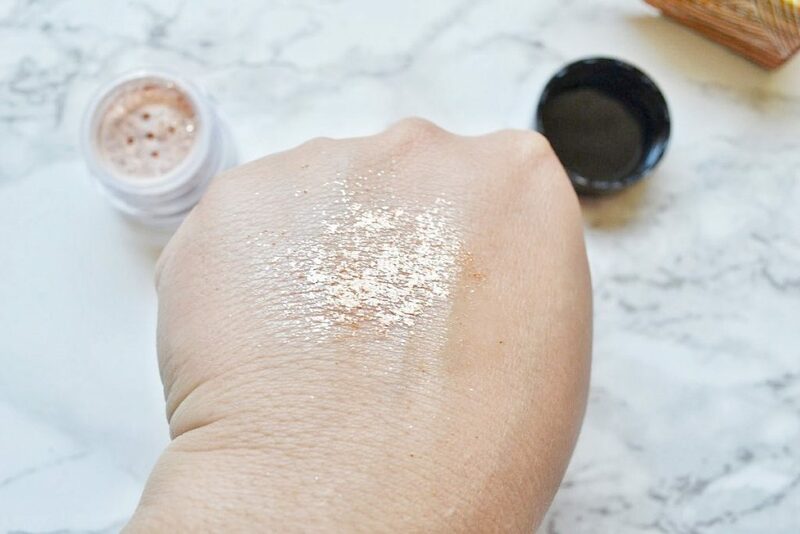 If you are somebody who prefers a very subtle highlight, you would probably really like it! Today, I’ve done my makeup with all of the products in the Color Curate July Bag. Ignore my glazed over expression; I was concentrating on trying to get the highlighter on my cheekbones to hit the light. 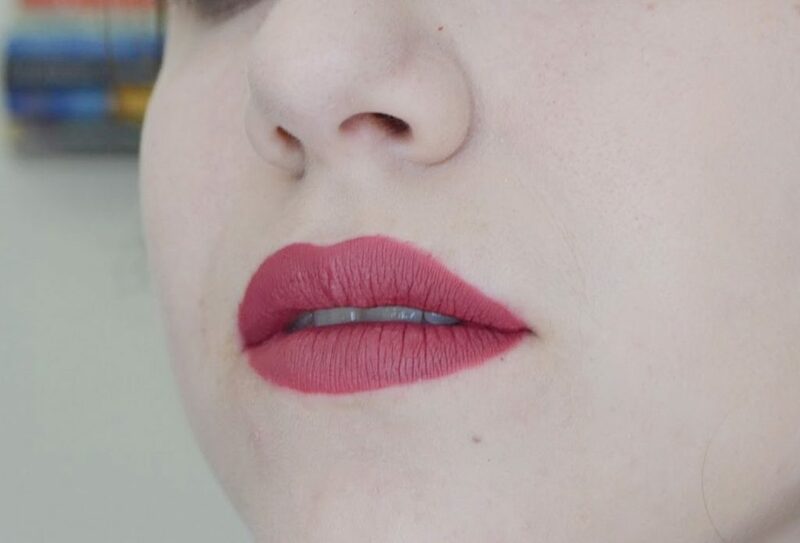 To me, the star of the show was the liquid lipstick! The shade is so beautiful and flattering, and it’s lasted through two meals. 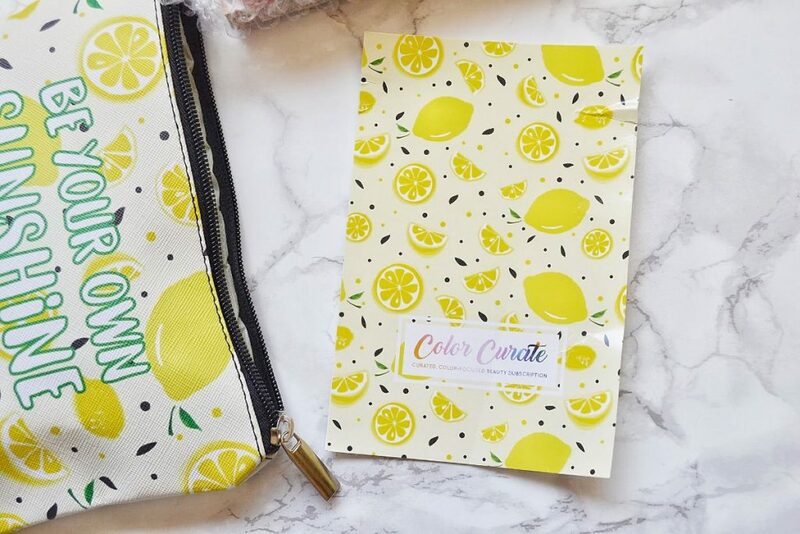 Overall, I really liked Color Curate’s July bag. The total value is $98, which is almost five times higher than the cost of the subscription! I am especially impressed that they included a full sized eyeshadow palette. I also feel good, knowing that today’s makeup is cruelty free and vegan, and contains ingredients that are actually good for my skin. 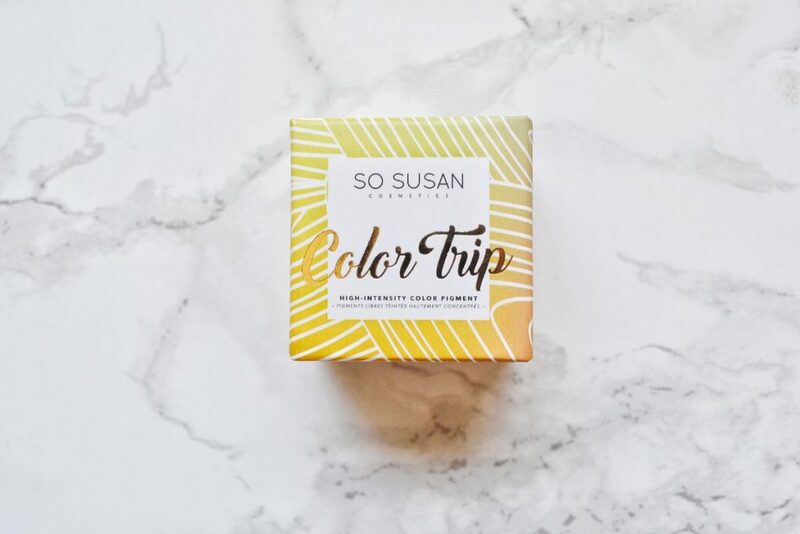 This subscription is an awesome way to try out ethical makeup without breaking the bank. I am going to reach for the lipstick and the eyeshadow palette over and over again! 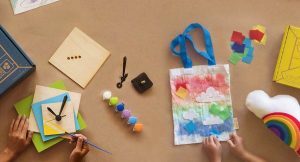 This bag had a high value, high quality products, and was an overall great experience.